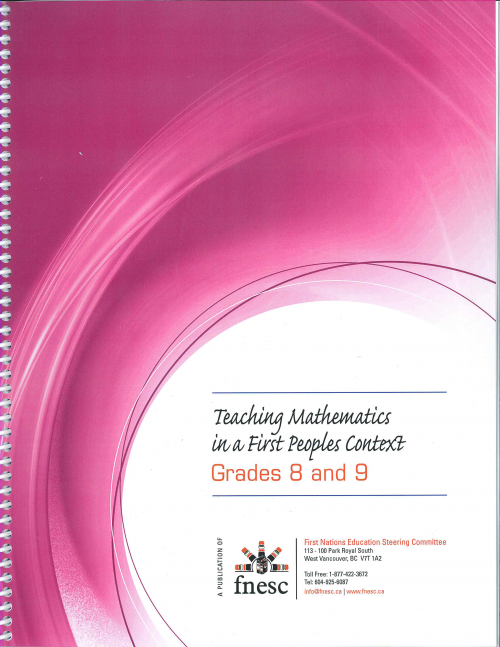 The Math First Peoples Resource Guide is designed to support teachers of Mathematics 8 and 9 in British Columbia extend their existing practice to incorporate new approaches that make the BC school system more reflective of the realities of First Peoples in this province and improve overall levels of student success. Help their Aboriginal students in particular to feel more comfortable in mathematics learning situations and more motivated to participate and focus – thus becoming able to learn more effectively, experience increased academic success, and develop numeracy concepts and skills for lifelong use. This resource was created by the First Nations Education Steering Committee and the First Nations Schools Association with the support of the BC Ministry of Education and the Education Partnerships Program of Aboriginal Affairs and Northern Development Canada. 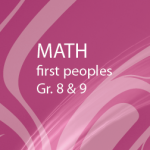 Want to offer Math First Peoples in your school? For support and tips, contact us.